Read his full reply on the Herculodge blog. And sadly this is the issue with refurbished products. I spoke with a radio manufacturer once about their process of refurbishing radios. They have a very specific check list, testing and burn-in period after addressing the reported issue. More often than not, refurbished radios come from an inventory of “open box” units where the customer took delivery, opened the box, but returned the unit without reason during the warranty period. Some radios, however, have reported issues and the technician addresses the issue, tests the radio, cleans it, then repackages it. On occasion, some issues slip through because the problem doesn’t show up during the burn in period. This likely could be the case with your unit, Gary, and you did the right thing to solve it: return it to the retailer! Thank you for sharing the follow-up! 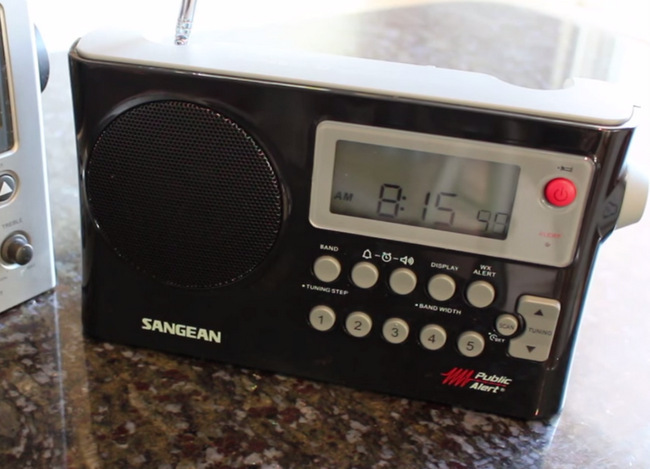 This entry was posted in News, Radios and tagged PR-D4W, Sangean PR-D4W on February 11, 2019 by Thomas. Many thanks to Jeff McMahon, from the Herculodge, who shares an update to his Sangean PR-D4W review. The good news is that Jeff continues to be impressed with the PR-D4W and ranks it above the venerable C.Crane CCRadio-2E in almost every category. At $64.50 on Amazon, the PR-D4W is a much better value. This entry was posted in New Products, News, Radios, Reviews and tagged CCRadio 2E, Herculodge, PR-D4W, Sangean, Sangean PR-D4W on October 5, 2015 by Thomas. Wow! I’m most impressed that Jeff places the PR-D4W (which retails for $69 on Amazon) above the venerable CCRadio-2E (which retails for $169 on Amazon) in terms of AM performance. I just checked and it appears that Universal Radio also retails the PR-D4W for $69.95. Follow Jeff at the Herculodge and on YouTube. This entry was posted in AM, FM, New Products, News, Radios, Reviews and tagged Herculodge, PR-D4W, Sangean, Sangean PR-D4W on September 30, 2015 by Thomas.